James Roe Junior from Sallins has been selected as the Young Racing Driver of the Month for April. The 19-year-old finished third and sixth in his two races at the season opener in the American F2000 series at Road Atlanta, despite several problems during the weekend. He has since gone on to score his first American win, as the culmination of a hectic weekend which saw him driving in four races at two circuits, some 600 miles apart. James began this marathon with his debut drive for the Swan-RJB Motorsports team in the USF2000 class at the Indianapolis Motor Speedway, home of the world famous Indy 500 race. The Irishman finished in twelfth and fifth positions in a car which he had never previously driven, in what he described as “the most competitive series I have ever driven in”. 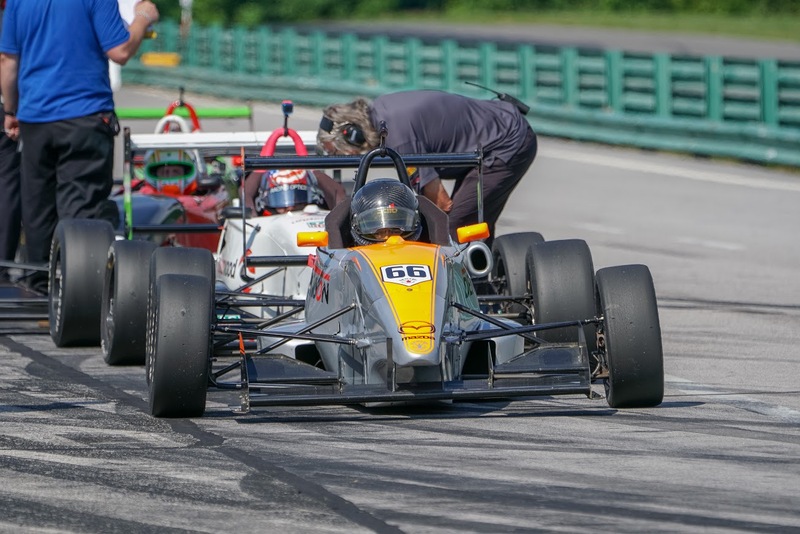 He then headed for Watkins Glen, in New York state, to return to his regular ArmsUp Motorsports team in rounds 3 and 4 of the F2000 championship. In wet conditions, James qualified on the front row of the grid, but a down-on-power engine dropped him to eighth place at the finish of the dry race. However, just a few laps into the second race, the rain returned, and although his car was still suffering from a shortage of power, he used all his wet weather experience to jump from sixth place into the lead. James then charged away from his opposition, scoring a convincing victory, 24 seconds clear of his nearest challenger. James’ sponsors are Dennison Trailers, and he is also one of the youngsters included in the Team Ireland driver development programme. Between races, he works for the ArmsUp team in their racing workshop in Wisconsin. Roe began his motorsport career in Junior Rallycross at the age of 14, later switching to the Ginetta Junior class where was a regular winner, going on to race and win in Formula Ford in 2016 and 2017. His Ginetta class lap record at Mondello Park has remained unbeaten for almost three years. Having been selected as the first Driver of the Month for the 2018 season, James is now a contender for the prestigious Motorsport Ireland Young Racing Driver of the Year Award, the historic Sexton Trophy. This award is presented annually and is supported by Sport Ireland and Motorsport Ireland.